RESISTANCE Ibiza is ready to storm the White Isle for its 2019 season. After only recently wrapping up the debut of RESISTANCE Island at the 21st edition of Ultra Music Festival in Miami, the DJ Awards’ winner for Ibiza Night 2018 has unveiled the season calendar for its third summer on the island. The loaded nine-week residency will launch with its Opening Party on 23 Jul and take place every Tuesday at Privilege Ibiza until its colossal Closing Party on 17 Sep.
Ultra Worldwide’s esteemed underground concept had already announced its stacked roster of headliners a few weeks ago, and now the rest of the programming has taken shape. Joining the robust group of headliners as special guests this season are Andres Campo, ANNA, Bart Skils, Daria Kolosova, Deborah De Luca, Dense & Pika, Enrico Sangiuliano, Erick Morillo, Fabio Florido, Hector, Joel Mull, Josh Wink, La Fleur, Layo & Bushwacka!, Layton Giordani, Luigi Madonna, Nastia, Patrice Bäumel, Popof, and Technasia. The Opening Party is set to kick the season off with a jam packed lineup that is headlined by an Ibiza Exclusive B2B between Main Room Resident Adam Beyer and Maceo Plex. Joining them in the Main Room are Exclusive Residents Sasha | John Digweed and Patrice Bäumel, who plays his first of three shows this season. Next door, Charlotte de Witte, Eats Everything, Hot Since 82 will begin their Exclusive Terrace Residencies and set the tone for their season. Also performing on the Terrace will be English duo Layo & Bushwacka!, who will be playing their first of two Ibiza Exclusive performances. The momentum continues into Week 2 where RESISTANCE Global Ambassador Carl Cox makes his return to the RESISTANCE residency for his always highly anticipated birthday party. The King will be accompanied by Jamie Jones and Loco Dice who will be going B2B, Charlotte de Witte, Hot Since 82, Eats Everything and Nic Fanciulli, who Carl himself will be playing a special B2B set with in the Terrace to start off the night at 22:00. Week 3 will see Adam Beyer bring his Drumcode label back to RESISTANCE Ibiza after a highly successful debut showcase on the island last season. For this season’s iteration, the Don of Drumcode is bringing an all-star group that includes Joseph Capriati, ANNA, Layton Giordani, Bart Skils, Joel Mull, La Fleur and an Ibiza debut B2B between himself and the burgeoning Enrico Sangiuliano to close out the night. Maceo Plex invites Testpilot for a takeover in Week 4, marking a special Ibiza debut and exclusive performance for deadmau5’s techno alias. Meanwhile in the Terrace, Patrice Bäumel will start off the night before handing the reins over to Sasha | John Digweed for one of their highly regarded extended sets. Richie Hawtin is also set to bring his PLAYdifferently imprint back on Week 8 for RESISTANCE Ibiza’s penultimate show of the season to showcase his industry leading Model 1 mixer. The techno titan will be joined in the Main Room by the high flying B3B of Dubfire, Nicole Moudaber and Paco Osuna, German duo Pan-Pot, and a unique B2B between Ukraine’s own Nastia and Daria Kolosova. The Terrace will be graced by the likes of Eats Everything, ANNA, Fabio Florido and La Fleur. RESISTANCE Ibiza concludes at its Closing Party on 17 Sep, and will do so in style, calling on some of its foremost stars to wrap up the season. Adam Beyer, Carl Cox, Sasha | John Digweed and Layo and Bushwacka! are all scheduled for the Main Room with Adam and Carl finishing the RESISTANCE Ibiza season with an Ibiza Exclusive B2B set, while Charlotte de Witte and Hot Since 82 will cap off their immense season as Terrace Residents along with Dense & Pika, Deborah De Luca and Luigi Madonna. Bringing in its most comprehensive lineup yet to the White Isle, it’s clear that RESISTANCE Ibiza will be the event to go to for the best in techno and house. EXIT Festival’s No Sleep Novi Sad has new reinforcements hailing directly from South America! After EXIT held its No Sleep Brazil party in Sao Paulo in D-Edge, it’s time for the Brazilians to return the favour and conquer the Petrovaradin Fortress for one night. #NSNS2019 will be visited by British techno producer Blawan, the exquisite Italian musician Giorgia Angiuli (and her compatriots from currently one of the most sought-after electronic duos 999999999) in their conquest of the Petrovaradin Fortress. D-Edge residents will be led by the founder of the club, Renato Ratier, backed by South American heroine BLANCAh and Serbian-Brazilian duo Duc in Altum. One of the central slots will be taken by local performers and No Sleep residents, Lag and Monosaccharide, in their first joint ever “live” set. For almost 20 years, D-Edge has been an aspiration for reputable South American clubs. The brain behind this mega-successful club is undoubtedly its owner and founder, Renato Ratier. Ever the multitasker, Ratier proves his DJ knowledge with a mixture of influences such as Chicago house, electro rock, techno, disco and minimal, with an impressive biography that also lists him as one of the partners and residents of the world-famous Warung Beach Club. Accompanying Ratier will be BLANCAh, one of the residents of D-Edge who, during her almost twenty-year long career, has left an inimitable mark with her melodic compositions with innovative and dark passages. Among other things, she marked the previous year with an original “Apneia” mix, released on the much-respected Timeless Moment label. The strength of the local scene, as well as their live skill, will be demonstrated on EXIT Festival by the Novi Sad-based DJ and producer with an impressive rich international career, Lag, together with the Belgrade-based duo Monosaccharide, who never stops raising the bar with their beguiling techno sound. The impressive lineup of the second day of EXIT festival will be completed by the D-Edge club residents, Duc in Altum, a married couple consisting of Eric Frizzo Jonsson and Arjana Vrhovac Jonsson, both of whom are born and raised in Serbia. EXIT has also recently announced the first chapter of the sleepless program of the No Sleep Novi Sad Stage. MMA (Mixed Munich Arts) is located in the engine hall of a former powerplant in Munich and has hosted some of the greatest electronic music artists in the world. On Thursday July 4th, the Mixed Munich Arts No Sleep stage will host some of the most wanted techno performers in the world, including I Hate Models, SHDW & Obscure Shape and Boston 168. They will be joined by the club residents, Black Lotus, Marcella, and Montenegro DJ, Ana Rs. The globally praised stage at EXIT Festival, the colossal Dance Arena has recently completed its most powerful edition to date. After Carl Cox announced his return to one of the planet’s greatest open-air raves, he was quickly joined by Paul Kalkbrenner, Amelie Lens, Maceo Plex, Jeff Mills, Charlotte de Witte, Boris Brejcha, Peggy Gou, Dax J, Monika Kruse, Adriatique, Satori, Johannes Brecht among others. EXIT Festival will be held 4-7 July 2019 at Petrovaradin Fortress in Novi Sad, and will feature more than 1000 artists on over 40 stages and zones. This year line-up will include The Cure, Greta Van Fleet, Carl Cox, Skepta, Dimitri Vegas & Like Mike, DJ Snake, Desiigner, Lost Frequencies, IAMDDB, Sofi Tukker, Solomun, Tale of Us, Tom Walker, Maceo Plex, Charlotte De Witte, Boris Brejcha, Peggy Gou, Jeff Mills, Amelie Lens, Dax J, Phil Anselmo & The Illegals, Tarja Turunen, 65daysofstatic, The Selecter, Peter & The Test Tube Babies, Whitechapel, Atheist Rap, Arcturus, Total Chaos and many more to come soon. Anyone familiar with a Bobby Alu live experience has witnessed the ease with which the Australian-Samoan moves from strumming blissfully away on his ukulele to raising the roof with a energetic percussion sequences, complete with traditional log drums. Bobby Alu is looking for ukulele soloists or groups of any age or ability to open each headline show. “We want to share the stage with ukulele players around Australia. You don’t have to be an expert, you just have to feel the flow,” he says. To apply, ukulele players can simply post a video of themselves playing a tune on Instagram or Facebook and tag @bobby_alu, their city and #FinallyTour. Applications close Friday 18th May and artists will be announced soon after. Filmed at Yama-Nui studios in the Sunshine Coast Hinterland, the ‘Finally’ acoustic session released today features Bobby Alu’s producer/collaborator Paulie Bromley (The Beautiful Girls, george) playing alongside as he delicately ruminates on his beloved uke. It’s a simplified version of the studio single which blends the self proclaimed tropical ambassador’s signature laid back flair with a more mature sound. Landing rotation on Double J, the track was also lauded by US taste-makers EARMILK describing it as a ‘delightful array of feel good vibes’. Good vibes are definitely flowing for the ‘hammock music’ aficionado. Fresh from a nomination in the Blues and Roots category at the Queensland Music Awards, Bobby Alu is a finalist in the 2018 International Songwriting Competition and just last month picked up a Pacific Music Award nomination for FLAVA Best International Pacific Artist. With a third album dropping this year, Bobby Alu hits the road armed with the only tools he needs – a uke and smile from ear to ear. Hot off the back of their impressive new single ‘Butter‘, Triple One are excited to announce sold out tour dates and added shows across their East Coast single tour. The band will return for a second night at the Black Bear Lodge in Brisbane and play the Howler in Melbourne and the Oxford Art Factory in Sydney. See the full tour dates and ticket info below. National support comes from Nerve, the Brisbane-based grime/hip-hop emcee and producer, with six new supports announced across the various shows. Joining Triple One in Brisbane are Hoodzy, the 16 y/o emcee from the Gold Coast who recently dropped her single ‘Young Girl Steez‘ and Dameeeela who has played alongside ASAP Rocky, Rae Sremmurd and Yaeji. On the Melbourne leg are the eclectic Melbourne crew 3K who most recently shared their OPENFORBUSINESS EP in 2018 and SAL, the brains behind Low Ton, who blends left-field club music with hip-hop. Supporting the Sydney shows are Kobie Dee x Nooky, two of Australia’s most important indigenous storytellers and Caroline Gasolina, a regular on FBi Radio who has supported the likes of Tasman Keith and RL Grime. Described as a “sad-boy banger“, ‘Butter‘ continues to impress audiences with their versatility and stands out as a confident, thought-provoking and fresh perspective on mental health in the format of contemporary rap hit and continues to sets them apart as one of the fiercest, leading groups in Australian hip-hop, with only the best of the best on the supporting roster. 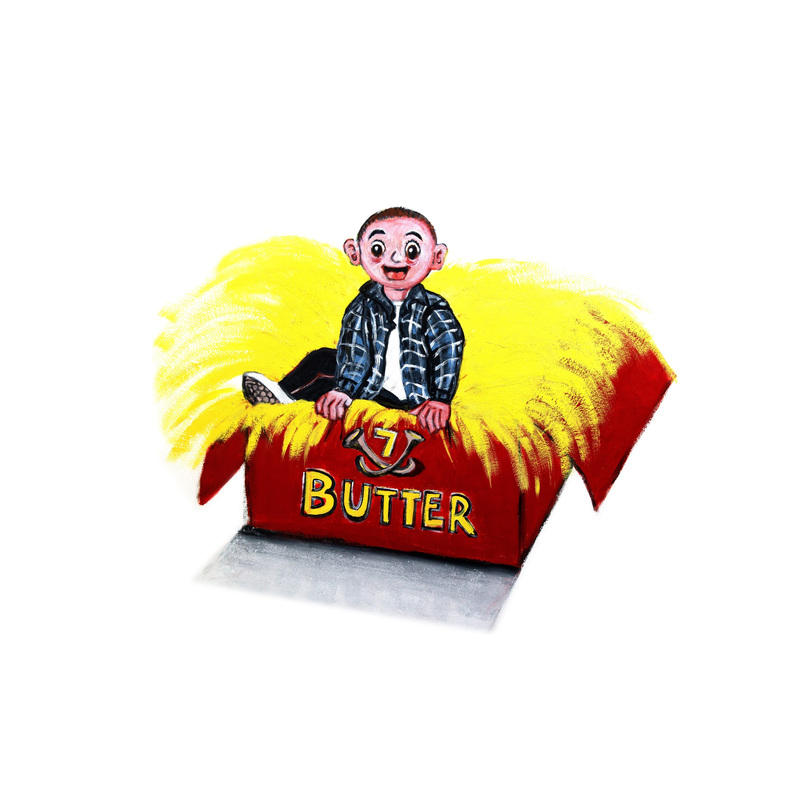 ‘Butter’ is out now, buy/stream it here. NO LABEL NECESSARY – smoulder on new single and video ‘Like You’ – announce June east coast tour! Out of the depths of Sydney’s thriving underground hip-hop scene, enticing duo No Label Necessary have returned, brandishing a new type of sauce for 2019. After making a stamping impact in 2018 with ‘Problems’, amassing a social media following exceeding 40k and supporting the likes of Tech N9ne and R.A The Rugged Man during their short history together, No Label Necessary wasted no time in making their presence known. 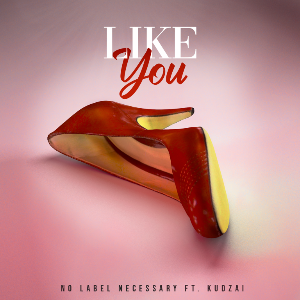 Teaming up with Melbourne’s Kudzai(‘4 Deep In The Suburbs’) on new single ‘Like You’, No Label Necessary turn up the heat and provide a jam that is bound to have bodies moving when their club tour hits the east coast this winter. Slick and mischievous, ‘Like You’ is primed for those nights out where inhibitions are gleefully left at the door. With Kudzai’s flair threaded throughout the single, No Label Necessary have formed a fast partnership that matches lyrical flow with sultry on-track presence. Coming together in 2017, Creepah (Sydney) and Thony Remy (Brooklyn, New York) formed No Label Necessary as a vehicle for them to take aim at the judgements, the preconceived and prejudicial labels in place by society’s gatekeepers, resulting in a strong run of single releases through into 2018. Shows alongside the likes of Tech N9ne, R.A. The Rugged Man and more gave No Label Necessary great stages to cut their teeth on as live performers, while the hype and support generating for the duo in their hometown of Sydney continued to grow and strengthen with each new music release and news tease. ‘Like You’ demonstrates No Label Necessary’s ability to kick back and have fun with the hip-hop form, delving into the same territory that has seen the likes of Ty Dolla $ign, YG and more recently Blueface emerge as popular hitmakers. Their final form hasn’t been reached yet though, with more music in the bag and ready to roll out through 2019. For now though, No Label Necessary Season kicks off with the single’s release come April 5th, and some highly anticipated launch dates to follow. ‘Like You’ is released Friday April 5th 2019. In a new collaboration, Melbourne’s Hutong Dumpling Bar takes over NGV’s Gallery Kitchen for the 2019 Melbourne Winter Masterpieces NGV Friday Nights series, transforming it into a Shanghai-inspired dumpling bar. Each Friday night features a headline act, showcasing the best of Australia’s vibrant and diverse musical talent. This season’s headliners include performers such as self-made Melbourne performer Maribelle, soulful Sydney vocalist Thandi Phoenix, Brisbane’s Young Franco, Sydney’s NGAIIRE and songwriter and producer GRAACE. NGV’s Great Hall features live music from electro-pop to blues to surf rock with access to pop-up bars and food, creating an inviting space to ease into the weekend. And in the NGV Gallery Kitchen, a menu of signature dumplings from Melbourne’s own Hutong Dumpling Bar will feature classic favourites and new specialities. ‘The NGV Friday Nights series champions the best of Melbourne’s art, music and dining. This year, Friday Nights is presenting a diverse range of Australians performers and artists, late night access to our blockbuster exhibition and we’re also breaking new ground with an unprecedented collaboration with Hutong Dumpling Bar, offering visitors a truly unique experience.’ said NGV Director, Tony Ellwood AM. This exciting collaboration coincides with the Melbourne Winter Masterpieces blockbuster exhibition Terracotta Warriors: Guardians of Immortality | Cai Guo-Qiang: The Transient Landscape, which sees a parallel presentation of China’s historic terracotta warriors alongside new art work by international contemporary artist Cai Guo-Qiang.Tickets for NGV Friday Nights provides late-night access to this dual presentation blockbuster exhibition, live-music, bars and dining options. Terracotta Warriors: Guardians of Immortality presents a large-scale display of artefacts and ancient treasures including 8 warriors from the Shaanxi province. Widely described as the eighth wonder of the world, their archaeological find is regarded as one of the greatest of the twentieth century. And in parallel, visitors will see contemporary artist Cai Guo-Qiang’s all new world-premiere art works inspired by his home country’s culture and its enduring philosophical traditions in Cai Guo-Qiang: The Transient Landscape. NGV Friday Nights includes after-hours access to the exhibitions Terracotta Warriors: Guardians of Immortality | Cai Guo-Qiang: The Transient Landscape, music, bars and dining. Terracotta Warriors: Guardians of Immortality | Cai Guo-Qiang: The Transient Landscape will be on display at NGV International from 24 May – 13 Oct 2019. Tickets and information are available via the NGV website. Member $23 | Adult $28 | Concession $24.50 | Child (5–15 years) $10 | Family (2 adults + 3 children) $65. Due to the rising costs of producing outdoor camping festivals and ongoing logistical issues they have made the decision to move site to an inner-city location in Glasgow. In 2019 Electric Fields will relocate to SWG3 in Glasgow with the event going ahead on the same dates (4 – 6 July) including multi stages (outdoors and indoors) Our Kids Electric plus top-quality street food & drink. SWG3 is located in the popular Finnieston area, with excellent transport links from and around Glasgow and further afield. They’re happy to say that the full line-up remains the same at their new venue as well. Electric Fields Festival takes place from 4 – 6 July 2019 at SWG3, Glasgow, Scotland, G3 8QG. On Monday, April 22, French techno legend and Diversions Music label boss OXIA will become the latest electronic artist to join the Cercle music family, as he prepares to play a very special sunset performance at the stunning Peles Castle, Romania, in partnership with Untold Festival. Following an initiative by the Romanian Cultural Institute based in Paris, this landmark event will take place at 19h00 local time (EEST) and aims to promote the 2019 France-Romania Season, as one of France’s most established artists performs at one of Romania’s most breathtaking locations. On this occasion, French artist OXIA will be the guest of honour in this nineteenth-century Royal castle, which was built between 1873 and 1883, following the instruction of King Carol I.
Peles Castle’s very distinctive style comes from Germany, where King Carol I was born in 1839. It belongs to the Neo Renaissance genre, and includes numerous towers, sculpted wooden facades and delicate frescoes. OXIA will be filmed from all angles by several cameras during the show and the program will be broadcast live on Cercle’s Facebook page. The live performance will be followed by an interview with OXIA, during which the connected followers will be able to send their questions online. Hailing from France, OXIA is one of the most respected DJs and producers on the international circuit, with a career spanning over twenty years, countless releases and multiple world tours. On top of an impressive list of remixes and releases on respected imprints such as 8bit, Hot Creations, Saved, Knee Deep in Sound to name just a few, he also fronts his own label, Diversions Music, and has collaborated with several famous artists including Agoria and Miss Kittin. In 2017, to celebrate the ten-year anniversary of his classic worldwide techno hit “Domino”, he released an extra special remix EP, made up of versions crafted by three renowned artists. Most recently, March 1 saw OXIA release his critically acclaimed ‘Second Mood’ EP on his label Diversions Music imprint, with heavy support from DJs and media across the electronic music industry. A reckoning and respectable slice of songwriting, ‘Ghost’ echoes the sensibilities of lo-fi luminaries Pavement and (Sandy) Alex G. Doused in reverb & distortion, triple j’s Richard Kingsmill similarly describes it as “one for lovers of classic alt indie”. Heartbreaking and heartwarming all at once, ‘Ghost’ is without a doubt RAT!hammock’s finest work to date. The decidedly dark, yet overall hilarious music video for ‘Ghost’ echoes this sentiment in spades. Something For Kate front man Paul Dempsey is standing poised at the edge of a metaphorical diving board marked ‘anticipation’ as he prepares to spend three nights in May playing brand new Something for Kate songs at the Gasometer Hotel, many for the very first time. In preparing to record Something For Kate’s long awaited 7th studio album, Paul (along with his SFK collaborators Stephanie Ashworth and Clint Hyndman) takes the view that the best way to whip new material into shape is to try them out live. There is history to this notion. In previous years, Paul spent many nights playing under various pseudonyms, ‘Hawaiian Robot’, ‘Manmade Horse’ , ‘Captain Pinstripe’ in the front bar of The Corner Hotel road testing many now classic Something For Kate songs for the very first time. As word spread that ‘Hawaiian Robot’ was in fact Paul Dempsey playing brand new SFK songs, lines started to form around the block, before a weekly heaving front bar eventually become an invaluable testing ground. Due to overwhelming demand, Australian psych-surf-rockers Ocean Alley have added another London show to their upcoming UK tour in August, which also sees them play in Glasgow and Manchester. After selling out the Electric Ballroom, the band have added a show at EartH on August 30th as well as announcing a full European tour. Tickets will go on sale at 9am on Friday (12th April) and will be available here. “We’re stoked to announce our full run of dates for our return to Europe and the UK for August and September, including a 2nd show in London which is going to be wild. See you soon!” say the band. The announcement follows the release of their new single, ‘Stained Glass’, the first new music from the band since the release of their momentous second album Chiaroscuro, which spawned the triple j Hottest 100 #1 and ARIA-accredited Gold single ‘Confidence’ and saw them sell out shows worldwide. The band recently supported Tash Sultana across their native Australia and will be playing a slot at the Byron Bay Bluesfest this month. They then have a pit stop in Uluwatu, Bali before an extensive run of dates in the US and Canada during May, June and July after which they head to Europe and the UK for their run of headline shows and slots at Reading & Leeds and Boardmasters festivals. Following the announcement that new album ‘Dépaysé’ is set for release on May 31st via City Slang, SINKANEhas today shared the record’s title track & an accompanying visual. “Dépaysé is a French word that basically means “to be removed from one’s habitual surroundings.” By extension, it means to be disoriented, homeless. That’s a feeling I relate to very much in these times — and I don’t think I’m the only one who feels this way. That word gave me clarity and made my journey of self discovery that much more exciting. The single “Dépaysé” comes with a visual by Mad Alchemy Liquid Show, who will do visuals for the Sinkane band on select US live dates. ‘Dépaysé’ is Sinkane’s seventh full-length and the follow-up to Sinkane’s acclaimed 2017 album ‘Life & Livin’ It’.The band features Gallab, Elenna Canlas (keys and vocals), Jonny Lam (guitar), Ish Montgomery (bass), and Chris St Hilaire (drums). US Acid House pioneer Josh Wink is set to celebrate 25 years of his label Ovum Recordings at the prestigious Movement Festival in Detroit this year. Taking place on Sunday 26th May, Josh invites innovative techno producer Ambivalent and label affiliate Manik to play alongside him at El Club. Since his 1995 breakthrough hit ‘Higher State of Consciousness’, Wink has proved himself as one of the most influential artists in electronic music. With his imprint at the forefront of minimal, techno and acid sounds, most notably throughout the 90s and early 00s, Ovum is responsible for some of the biggest releases of the past decade, including records from the likes of KiNK, Sebastian Mullaert, Marc Romboy and Shlomi Aber – not to mention remixes from the likes of Ben Klock, Truncate, Radio Slave, Spencer Parker, Axel Boman, Slam and Chris Liebing. Performing all across the globe at events such as BPM Festival, CRSSD Festival, Movement, Tomorrowland, Music On, Neopop, Ultra Miami, and at Carl Cox’s ‘Final Chapter’ closing party at Space Ibiza, Josh Wink has firmly established himself as one of electronic music’s most creative and influential acts. 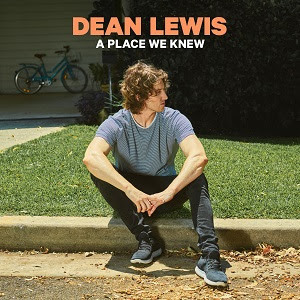 Due to overwhelming demand, Dean Lewis is thrilled to announce a third and final Melbourne showfor his ‘A Place We Knew’ Headline Tour after selling out his first two Forum shows on 17th and 18th May. The third and final Melbourne Forum show will be on Sunday May 19th with tickets on sale Friday April 12th at 1.00pm (AEST). Still on a high from his album debuting #1 in Australia followed by holding Top 3 chart this week, Dean has also announced the support acts for his national album tour. Joining the rising global artist for the entire tour in May will be Winterbourne and Eliott. Currently on tour with Matt Corby, Melbourne-based singer-songwriter Eliott has been winning fans around the globe with her emotive honest songwriting. Her 2018 debut EP Bold Enough spawned radio singles ‘Over & Over’ and ‘Calling’ while the six track EP received glowing reviews from Clash Music, Indie Shuffle and triple j fans. Renowned for her striking vocals, her new single ‘Shaking My Hips’ was officially added to triple j.
Sydney based Winterbourne, who kicked off their The Much Better Tour in Fremantle last week, are no stranger to playing to full rooms. Having sold out their Fremantle, Melbourne and Sydney headline shows, Winterbourne have quickly amassed a loyal following since first discovered busking in Sydney. Touring consistently around the country and overseas, their music has now been streamed over 12.6 million times. With a debut album penciled for 2019, the duo, with their band, will be playing new material including singles ‘Better’ and ‘Take The Golden’. Dean Lewis’ will be kicking off his ‘A Place We Knew’ Album Tour in Sydney on May 6th with ticket details below.